Lyn originates from Yorkshire where she trained to be a teacher. 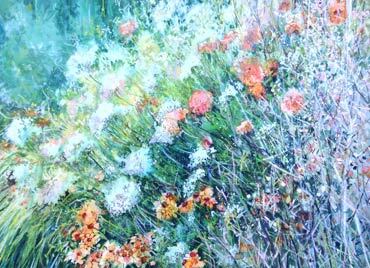 She moved to Leicestershire in the 1970s and has been teaching and painting here since then. Lyn’s time is spent painting mainly in watercolour and mixed media and preparing for her watercolour workshops and the classes she teaches. She is also a keen gardener. Inspirations for Lyn’s work comes from flowers and nature. She does not aim to capture every detail, but to explore her responses to the remembered atmosphere of the scene en masse. 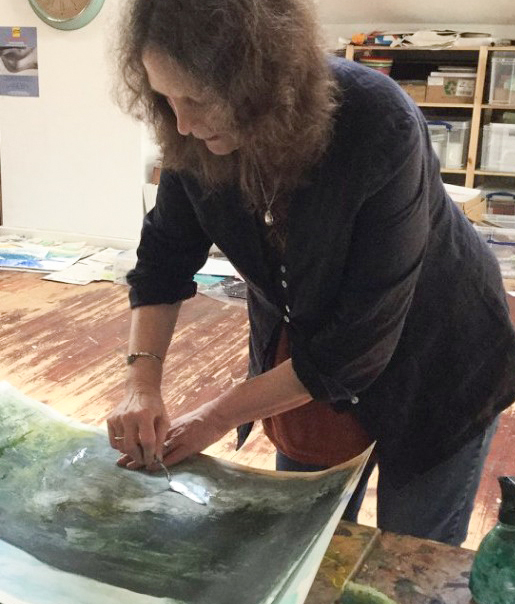 She floods the paper with water, working quickly and spontaneously with the paint, keeping the composition continually on the move until she is happy with the image. Her paintings are on the large side, giving the viewer the feeling of being immersed in the first excitement, with colour, texture and light integral to achieving this. 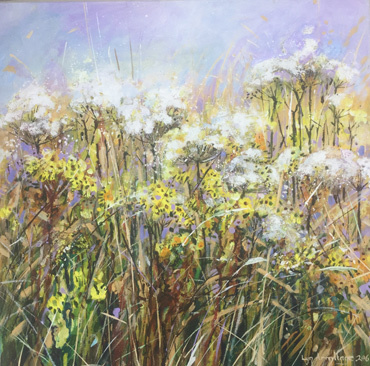 She has been exploring the use of textures and layers of pattern in her recent paintings and is experimenting with the inclusion of acrylic, acrylic inks and pastel in her work. 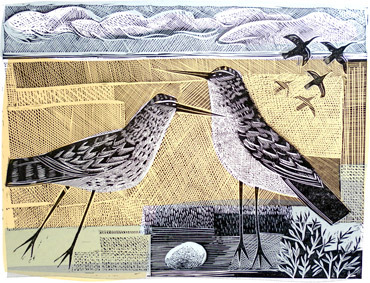 Her work can be found in local galleries and she has sold to the John Lewis group. 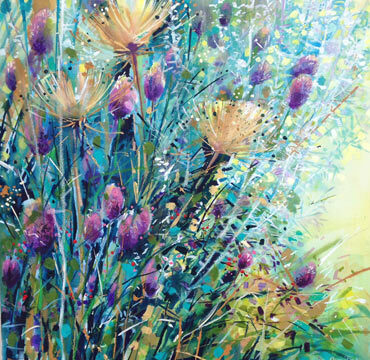 She is a member of the Society of Floral Painters, the Birmingham Watercolour Society and the Leicester Sketch Club and is a professional member of the SAA. 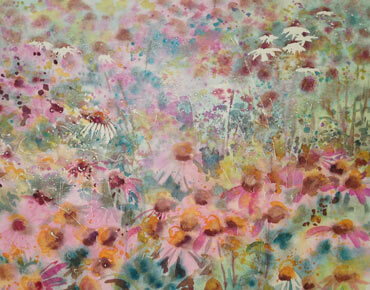 Her work can be regularly found at the Dotty Gallery, Twyford, Temples Rothley. She will be holding a solo show of her work at the Sock Gallery in 2017.